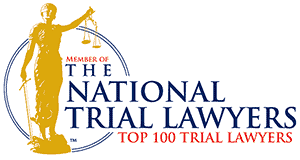 Clifton NJ Lawyers- Personal Injury, Criminal & Employment Law - Aiello, Harris, Marth, Tunnero & Schiffman, P.C. The Clifton attorneys of Aiello, Harris, Marth, Tunnero & Schiffman, P.C. help you resolve legal matters effectively and efficiently. We understand there is no one-size-fits-all approach to legal matters. Therefore, we tailor our practice and our services to fit our clients’ needs, not the other way around. You matter to us. We are committed to providing support, legal counsel, and guidance at a time in your life when you cannot focus on anything other than the legal entanglement that you are involved in at this moment. We are a larger law firm; therefore, we are able to handle cases in a variety of legal practice areas. Our lawyers work within their field of expertise to provide you with exceptional legal representation. 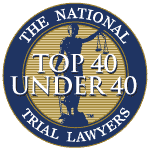 Because our attorneys are recognized as knowledgeable in their legal fields, they are often featured guests for several news outlets including ABC, CBS, NBC, 101WINS, News12, and NJ.com. We invite you to browse our website for more information. 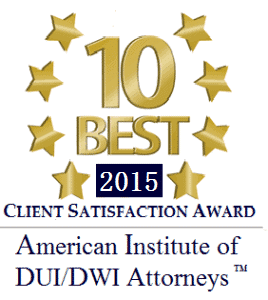 We also encourage you to call (908) 561-5577 to request a consultation with one of our Clifton attorneys. 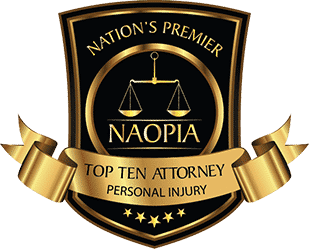 If you need a personal injury accident attorney, you may be concerned with the cost to hire an attorney. You do not need to worry about how you will pay our law firm. We accept most injury claims on a contingency fee basis. Do not let money stop you from getting the legal advice you need. Your first visit is always free. 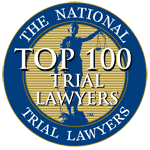 Traffic-Related Injuries — Car crashes, commercial truck accidents, motorcycle collisions, bicycle crashes, and pedestrian accidents are very rarely a true accident. One of the parties was negligent or reckless in causing the accident. Our Clifton car accident lawyers can help you obtain the evidence you need to prove you deserve to be compensated for your injuries. Product Liability Claims— Product liability claims involve injuries and deaths sustained by using defective or dangerous products. Your claim could arise from a defective motor vehicle part, dangerous household item, or defective power tools. If a defective product injures you, call our Clifton product liability lawyers for help. Swimming Pool Accidents— As summer finally arrives, many people will begin using their pools, going to the lake, or traveling to the beach. Swimming pool accidents can result in permanent brain damage or death. In addition to head traumas, victims of swimming pool accidents can suffer broken bones, neck injuries, spinal cord injuries, and internal organ damage. A Clifton swimming pool accident attorney can help you recover compensation for your injuries. Wrongful Death Claims — Wrongful death lawsuits cannot bring your loved one back. However, you can seek justice and hold the person responsible for taking your loved one away from you liable for your damages. Call our Clifton wrongful death lawyer for more information. You can review a full list of our personal injury cases on the personal injury page of our website. Contact our law firm by telephone at (908) 561-5577 or use our online contact form to request more information. Criminal defense attorneys understand the frustration, anger, and fear you may be experiencing after being arrested. Because you are innocent until proven guilty, we want to help you develop a strong defense strategy to fight the criminal charges you face. Impaired Driving Charges— Driving Under the Influence (DUI) and Driving While Intoxicated/Impaired (DWI) are serious charges in New Jersey. Do not plead guilty or argue your case without a Clifton DUI attorney by your side. Drug Offenses and Crimes— If you are in possession of illegal drugs or controlled substances, you could be facing drug trafficking charges. Drug possession and drug trafficking carry severe penalties, including significant jail time and fines. Fight drug charges with the help of our Clifton drug crimes attorney. Theft Crimes — Theft crimes, even petty shoplifting, can result in jail time. Theft crimes our law firm handles include grand theft, robbery, burglary, embezzlement, credit card theft, shoplifting, identity theft, and many others. Domestic Violence — Domestic violence convictions could result in a restraining order preventing you from living where you want to live or working where you want to work. Domestic violence in New Jersey encompasses a variety of crimes, including stalking, harassment, false imprisonment, and more. Call our Clifton criminal defense attorney for more information about fighting domestic violence charges. The criminal defense page on our website provides a list of the criminal charges we handle. Contact our office by calling (908) 561-5577 or using the contact form on our website. Workplace Discrimination— If you believe you are the victim of employment discrimination or your company is accused of discrimination, you need an experienced Clifton labor law attorney immediately. Other Employment Issues — Our Clifton criminal defense attorneys have experience handling a variety of employment-related matters, including contract disputes, severance packages, wage & hour violations, and workplace retaliation. Please visit our employment law webpage or call (908) 561-5577 for more information. We are dedicated, capable, and aggressive attorneys who protect the best interests of our clients. Our law firm has the resources and staff needed to manage a large variety of cases effectively and efficiently. Even though we have a large practice, it is our goal to meet your needs while providing the support and understanding you need as you deal with a legal matter. We keep you updated on your case so that you understand each step we are taking to protect your legal rights and resolve your legal matter. You may also visit our practice areas page for more information. Contact our office by telephone (908) 561-5577 or complete the online contact form on our website to request more information and to schedule an appointment. The City of Clifton, known as “The City That Cares,” is located in Passaic County, NJ. With a population of about 85,845, the city has seen significant growth since being incorporated in 1917. Clifton is a mixture of cultures, rich histories, distinct neighborhoods, and commercial districts. Downtown Clifton hosts a variety of stores and shops, including Turkish markets, Peruvian restaurants, and hookah stores. You can ride down the streets and see beautiful examples of Tudor-style homes, Cape Cods, and Colonial-style homes. Residents enjoy attending the high school football games to cheer on the players and listen to the Mustang Marching Band. Fourth of July picnics and holiday celebrations bring the community together to enjoy the beautiful area and rich history of this proud and unique New Jersey city. 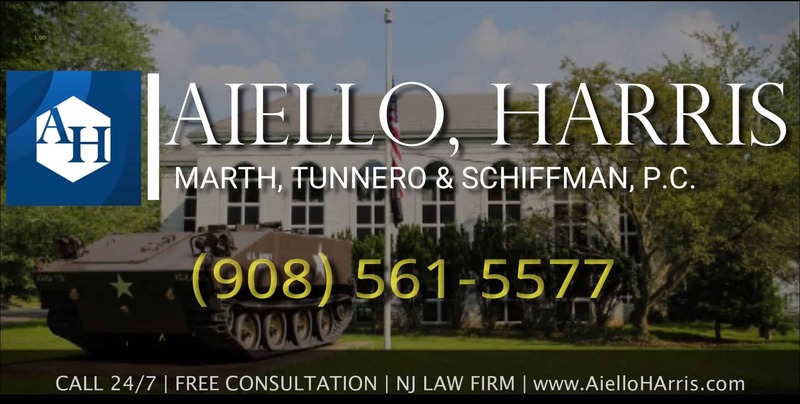 The law firm of Aiello, Harris, Marth, Tunnero & Schiffman, P.C. is ready to help you. For a free consultation, please call us at (908) 561-5577 or visit our Lyndhurst NJ law office location. An attorney will talk you through your case and see what your best possible options are.